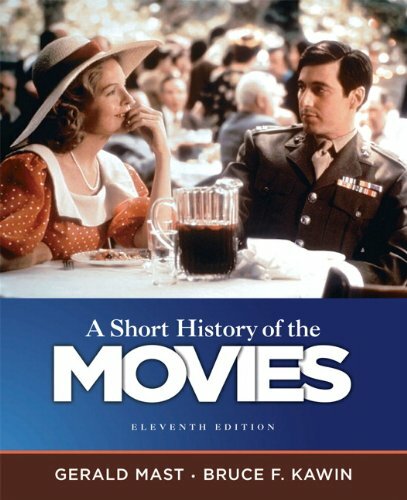 The eleventh edition of A Short History of the Movies continues its long-standing tradition of scrupulously accurate details, up-to-date information, and jargon-free writing style that has made it the most widely adopted film history textbook. This edition offers students a panoramic overview of the worldwide development of film. From the early experiments with motion photography, through the American studio years of the 1930’s and 1940’s, from Neorealism and the New Wave, up to the present age of digital cinema, A Short History of Film provides a comprehensive presentation of the history of cinema. This eleventh edition has been revised and updated to include current scholarship, recent industry developments, and new films and filmmakers. Brand: Mast, Gerald/ Kawin, Bruce F.
If you have any questions about this product by Mast, Gerald/ Kawin, Bruce F., contact us by completing and submitting the form below. If you are looking for a specif part number, please include it with your message.